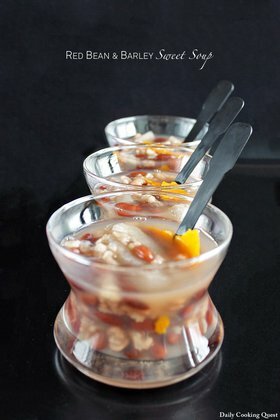 cream mitsumame: mitsumame topped with ice cream Mamekan is the simplest version of mitsumame, and once you can make a mamekan, you can pretty much conjure up the other four varieties without much effort. 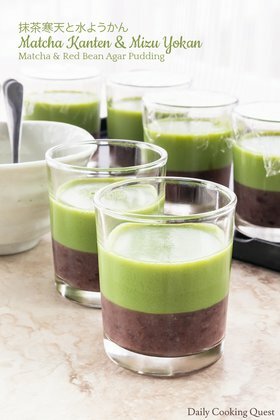 In this recipe, I use red bean as my mame of choice, but kuromame (sweeten black soy bean) is also a popular choice. Make the kanten following the packet instruction. I use Swallows Brand 7 gram packet plain agar-agar powder, which requires boiling the agar-agar powder with 900 ml water and 120 gram sugar. Pour into a baking pan and let it set at room temperature. Then chill for 1 hour in the fridge. Cut into small 1/2 inch cubes. Place all ingredients in a sauce pot and bring to a boil. Cook until the liquid is reduced to slightly more than 2 cups. Turn off the heat, and let cool at room temperature. Then transfer to a jar and store in the fridge. 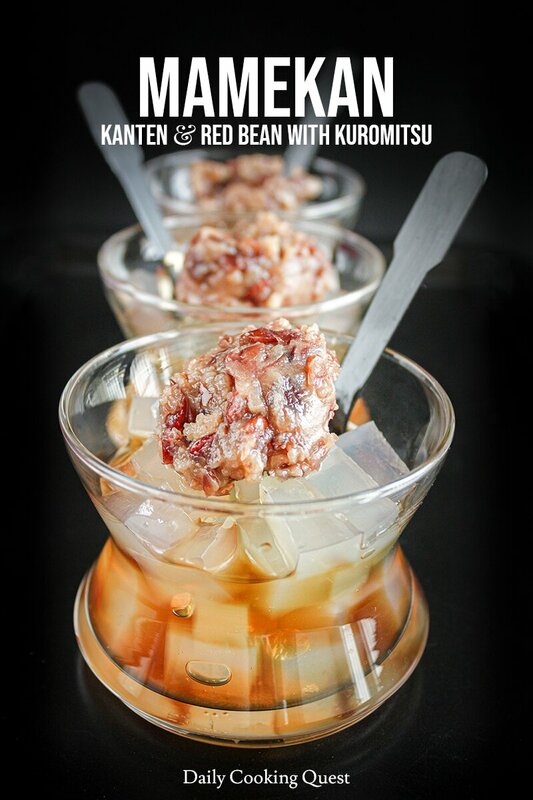 Place some kanten cubes in a serving bowl, top with 1 tablespoon of azuki an, and pour some of the kuromitsu to fill about half of the bowl. 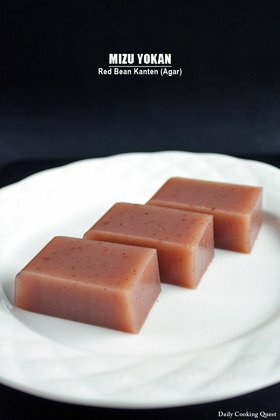 (*)You can use store bought version or follow my recipe https://dailycookingquest.com/sweet-red-bean-paste.html. 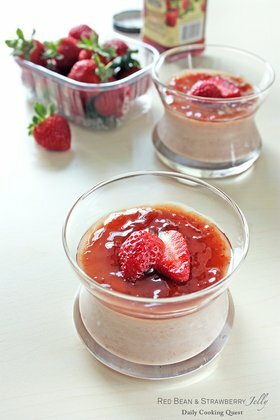 (**)Mizuame is liquid sweetener used in many traditional Japanese desserts/snack and is typically made of rice. You can also use honey if mizuame is not available.